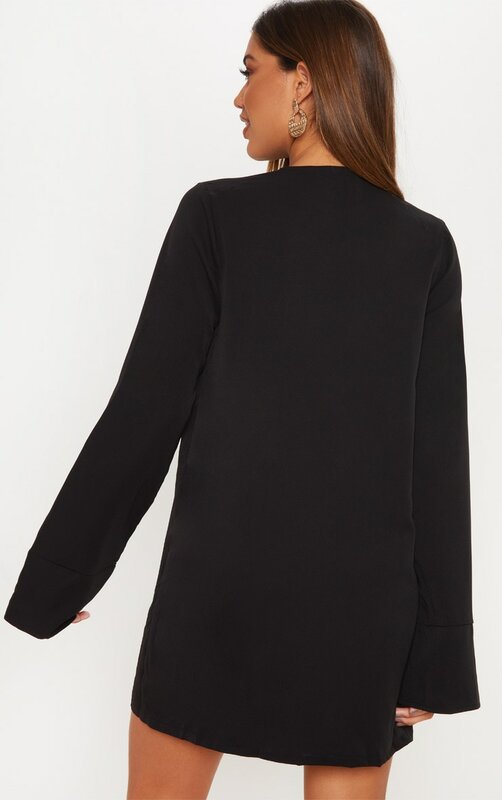 This simple but sassy dress is everything we are loving for your date night with bae. 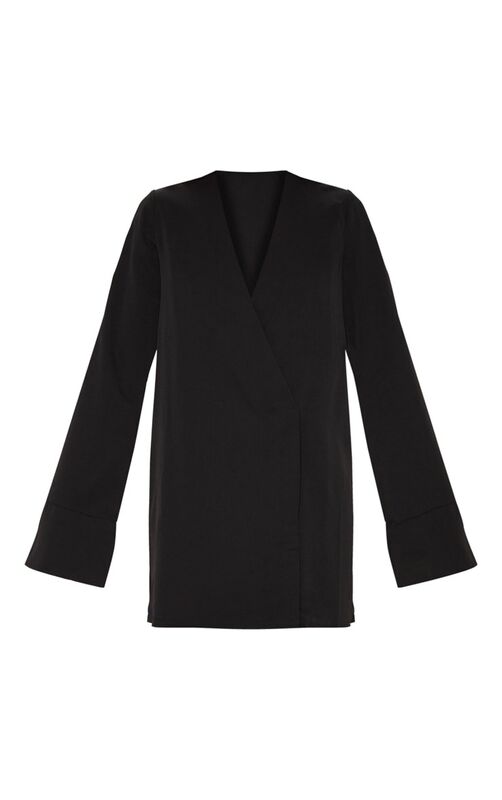 Featuring a black fabric, plunging neckline and long flared sleeves, you can't go wrong. Keep is simplistic and style with snake print heels and gold statement earrings for a look we're loving.